Instagram is where all the cool kids hang out to show pictures of their breakfast and cute dogs. Here are some Instagram tips to turn you into an expert. Instagram is rapidly becoming one of the most popular social networks on the Internet. In the past, when it came to showing off your photos, Flickr was the go-to platform. But now with the inglorious downfall of Yahoo, Instagram has stepped in to fill a very big void. So Instagram tips are something most people are interested in these days and we always try to satisfy reader demand. I personally run two Instagram accounts of my own, and I am about to run a professional one for a client. So over the past couple of years, I have come across some interesting tips and tricks you should bear in mind. I have never posted video to Instagram so I am not an expert there. But photos? Read on Jimmy Olsen! I am still a learner when it comes to Instagram so I am not doing ALL of these things right now. But I am gradually working my way down the list. Your Instagram page is naturally what visitors will see and so you should make an effort with it. Try to have a half-decent photo of yourself as the avatar. The irony always kills me that on a photography social network, some people’s photo avatars are simply awful. The bio is the one and only way you can add a clickable link so make sure to link to your website or other important site. Remember as well that if you want to be found, the bio page has to be SEO-optimized. So think about how people will find you when choosing a username and what name will appear on the bio. That’s why I added “author” to the end of my username. Consider changing the font on your Instagram bio to something more unusual (mobile only). To do the same on the desktop, you can use Font Space. A social network isn’t very sociable if you don’t have your friends on there. So make sure you are following people you know. In the settings, you can link to your Facebook account, as well as your email contacts. Instagram will then run everyone through their system and tell you who has an Instagram account. 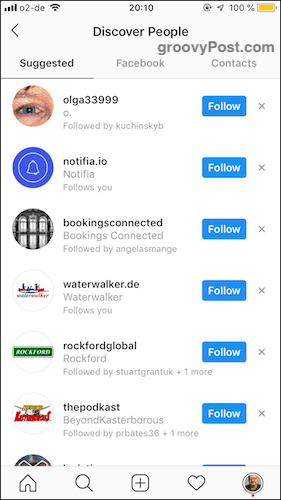 It will also constantly monitor your Facebook account and contacts and tell you when somebody has opened a new Instagram account. The general consensus is that the ideal posting frequency is once or twice a day. Anymore than that and you are going to overwhelm everyone’s feeds. But you should also focus on quality over quantity. Make sure the images are the best you can make them. Don’t just post any old crap for the sake of posting. 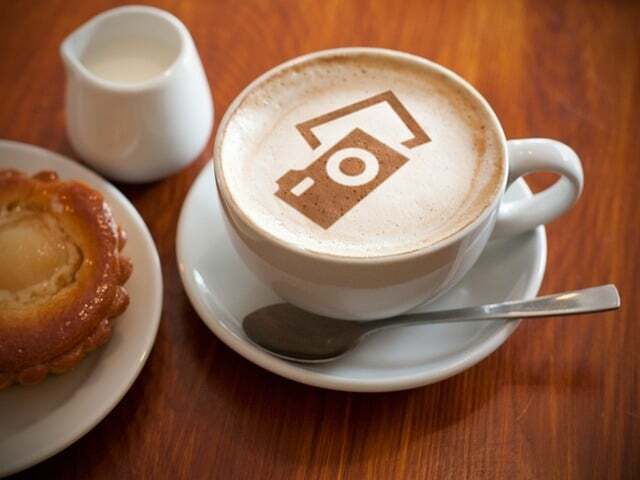 Make each image memorable. Don’t take pictures of your breakfast. Try to take something that not many other people are doing. 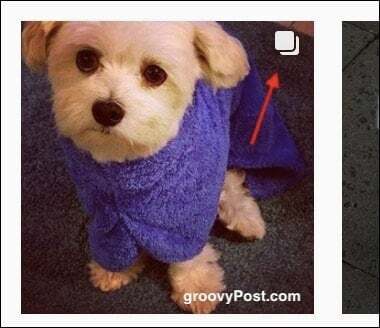 For a long time, Instagram only allowed you to post images in the shape of a square. For those who took photos in widescreen, having to resize everything as a square was like setting fire to a Bible in front of a priest. So when Instagram finally announced they were supporting other sizes, everyone breathed a sigh of relief and put their crucifixes back in their pocket. You can also make image carousels where you can swipe between photos. This is good if you have a group of photos taken at an event and you want to keep them all together. The smartphone app, Layout (iOS / Android) lets you take multiple images and combine them into one image. 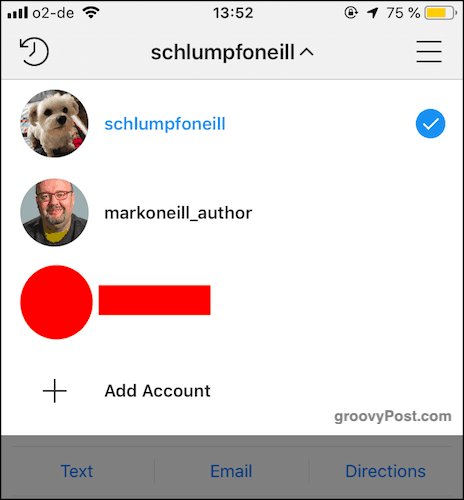 Similar to Facebook, you can also tag images with Instagram usernames. So in this instance, I tagged this picture of my friend with her Instagram username. 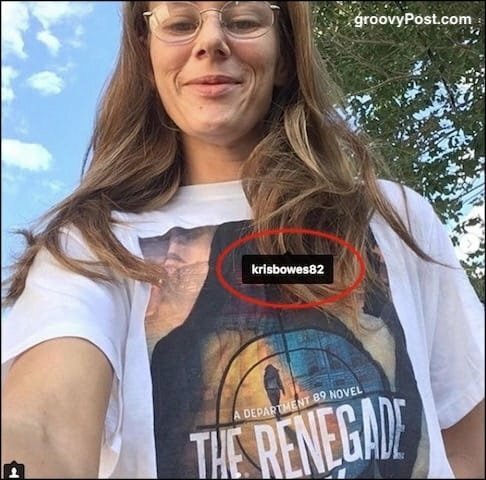 This helps increase her visibility if anybody is looking for her on Instagram. Or if she wants to see what pictures are floating around out there of her. On the last screen before you post an image, you will see the option to tag a user. Just tap the option, tap on the image and begin typing their username. They will then get a notification that they have been tagged. The really wise hands on Instagram follow the 80/20 rule. Give 80% of the time and take something the other 20%. In other words, don’t be thinking about what you can get out of Instagram most of the time. Instead, focus on giving quality images and entertaining people. What you can personally get from the platform should be secondary and a bonus. So like other peoples images and add thoughtful non-spammy comments. Start a conversation. 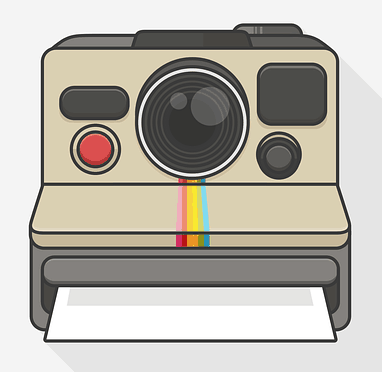 When Instagram first started, everybody was putting all of their images through the filters. They thought it made the pictures look very artistic. But in fact, most of them looked fake and eventually very tacky. If you take a picture right, you won’t need to use filters. I personally detest them. Post the picture as it was taken. It will look more genuine that way. Hashtag selection on all social networks has become a bit of an artform. But Instagram is where it matters the most. Make a mess of it and your images will never be seen. Do a really good job and potentially the rewards are huge. Hashtags are basically descriptive keywords which can be clicked on to see all posts on that same subject. Conventional wisdom says to keep the number of hashtags to no more than 7 or 8. Anymore than that and it will begin to look as if you are hashtag spamming. So choose 7 or 8 highly targeted hashtags only. Nobody will arrest you if you choose 9 or 10 but you get my point about not overdoing it. 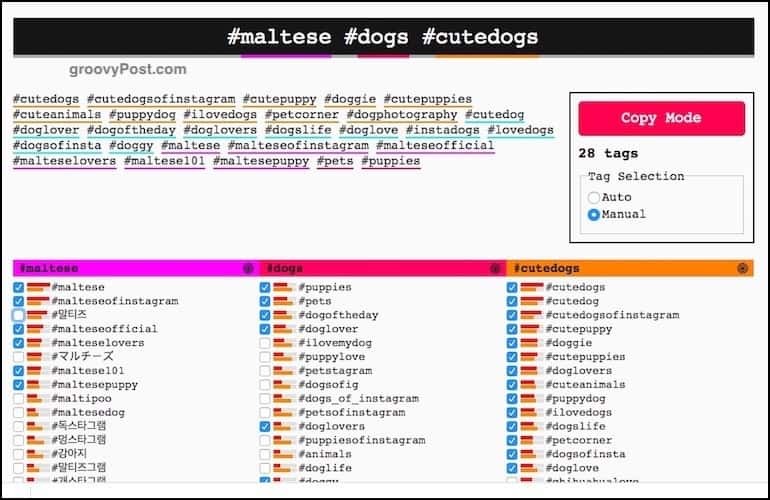 There’s no harm in choosing one or two broader hashtags but try not to do it too much. I am extremely guilty of this and I am trying to change that bad habit. For example, my dog has an Instagram account (what can I say? He’s a real diva). 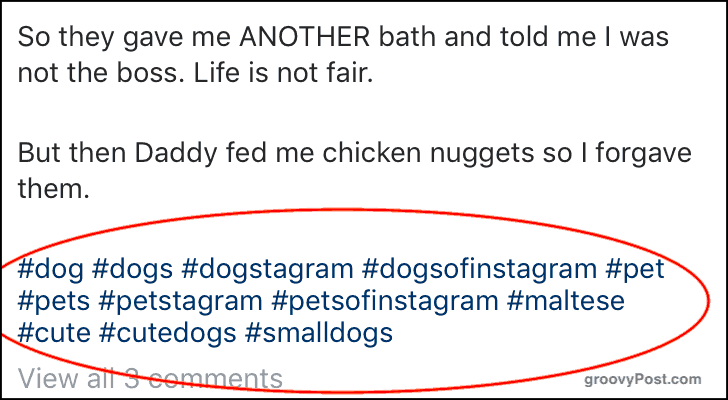 In the hashtags, I tend to use the hashtag #dog and #dogs . But with tens of millions of images flooding those hashtags, how likely do you think it is that mine will be seen? If on the other hand, I chose #maltese (his breed), #smalldogs, #cutedogs, and so on, then that narrows it down a bit and increases the chance of my visibility. When choosing hashtags, look to see how many images that hashtag has. If it is in the millions, then try to avoid it. Instead, try to focus on the niche tags with only a few thousand images. Continuously typing out hashtags can be really tedious and tiring, especially when on a smartphone. So make your life easier and get a hashtag keyboard. The one I am using at the moment is Hashtag Key (iOS only). You type the hashtags once, and then the app saves them for you into custom categories. 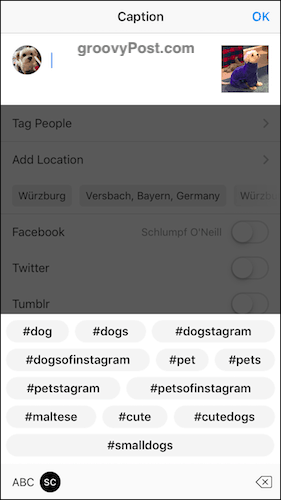 The next time you need to use them, just tap on each saved hashtag and they will be autofilled into Instagram for you. A lot of people I know use TagsDock (iOS & Android) but I found it too limiting. On the desktop (if you are using a social media scheduling tool such as Buffer), there is an amazing hashtag generation tool called Display Purposes. Add a subject and it throws up lots of hashtags for you. Display Purposes can sometimes give you some really silly irrelevant hashtags, so check them closely before posting. Even if you are not using an Instagram account for business, you should still switch to a business account. Simply because a) it’s free, so why not? 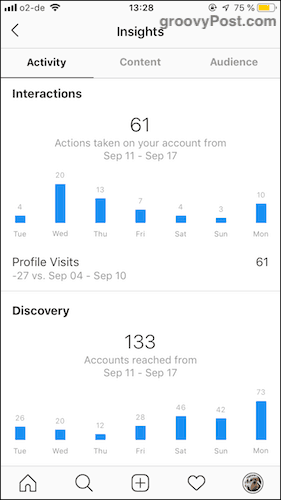 b) you can access analytics and stats, and c) you can connect your Instagram account to your Facebook business page. Finally, if you don’t like the business functions, you can easily switch back to a personal account in seconds. To switch to a business account, go into your settings and choose “switch to business account.” You can now connect to your Facebook business page in the settings, cross-post images between the two platforms, add an address and phone number, and more. It seems my dog is popular in Cambodia. Who knew? 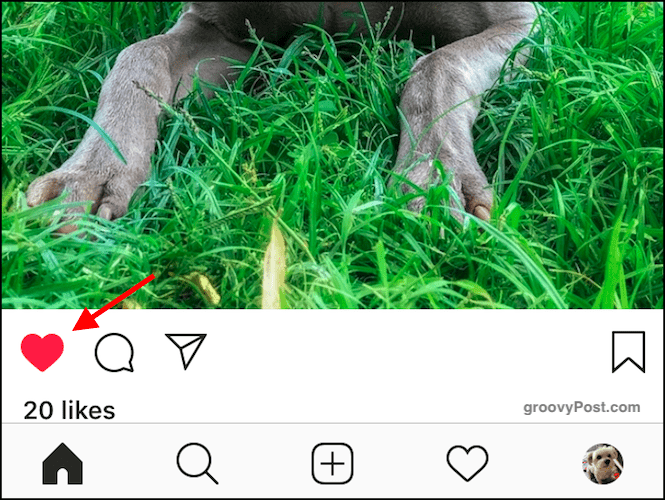 If you have a great image on Instagram, or you have found a great image from someone else’s feed, you can embed it on another website, such as your blog. For all those Cambodians to come and visit. 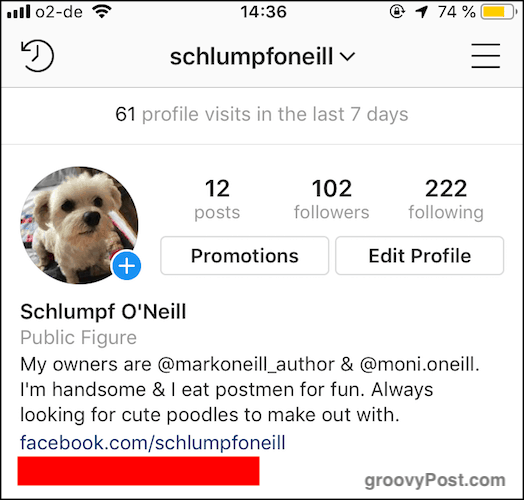 On the web version of Instagram, click the three horizontal dots on the image. 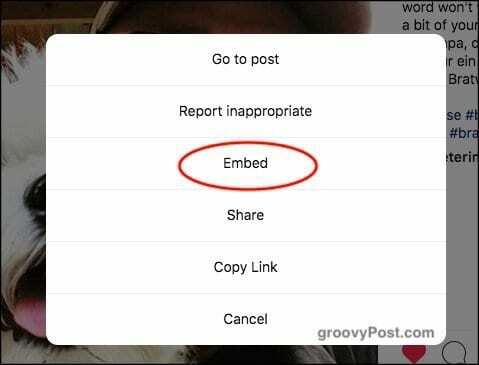 When the menu comes up, choose “Embed.” Then copy and paste the code Instagram gives you. This is one I have wrestled with for a while as I am a bit of a privacy advocate. But I have been persuaded by certain factors that you should tag your photos with the location where it was taken. Studies have shown that images with location tags get 79% more engagement. Images with location tags will show up in searches for that location. 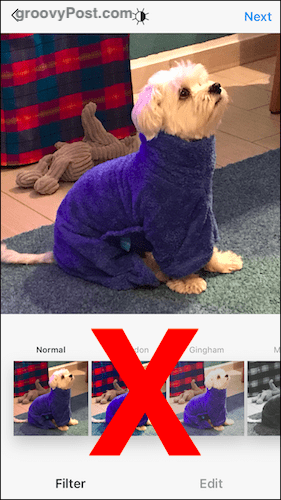 Images with location tags have a higher chance of being selected for Instagram’s front page. You are not revealing your address or anything. If you tag your photo “London” for example, you are not exactly leading people to your front door, are you? To location tag your image, go to the last screen before posting. 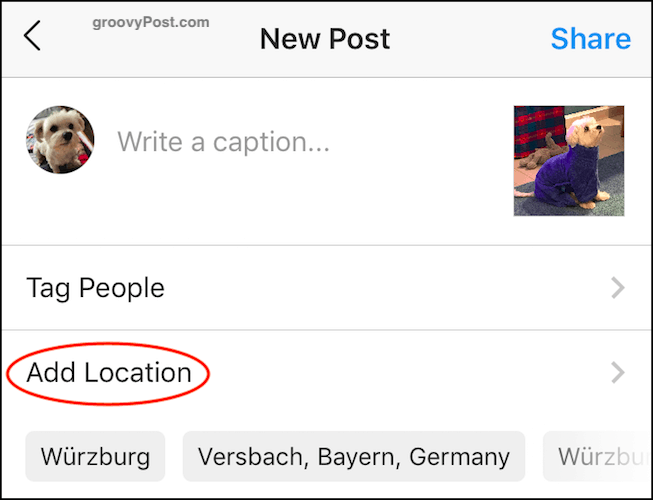 Instagram will read the photo’s metadata and pull the location information for you. Tap on what you want the tag to say. Or search for another location tag if the ones being offered are not suitable. Just as I don’t understand why people don’t make more of an effort with their profile avatar, I also don’t understand the lack of effort with picture captions. The phrase “a picture paints a thousand words” is very true. But as a writer, I can tell you the power of a good caption too. A good caption can make people laugh and bring extra attention to your image. But you have to make the effort to get it right. Otherwise, why bother? 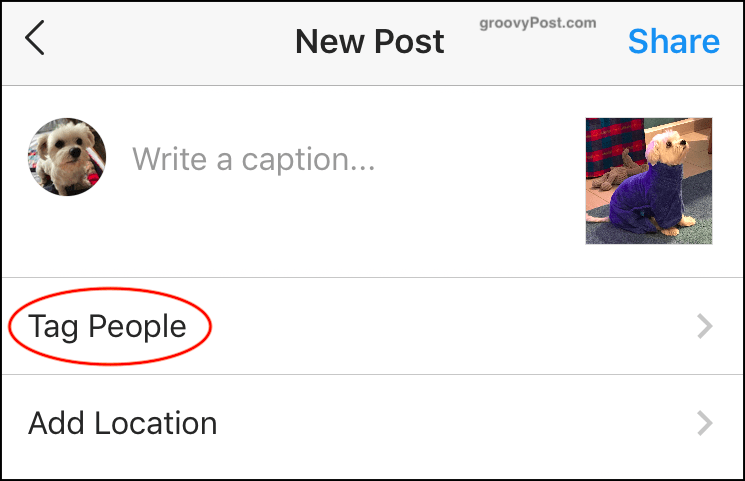 After writing the caption – and before you add the hashtags, you should enter a line break to separate the two. Otherwise, everything looks crushed. But there is no obvious way to hit the return key on your smartphone keyboard. Or is there? To get the return key on the screen, switch to the number keyboard and you will see the return key in the bottom corner. Tap that and you will see the line break appear. Now tap back to the letters keyboard and begin your hashtags. Since I have three accounts, logging out of one to get into another would get tiresome very quickly. 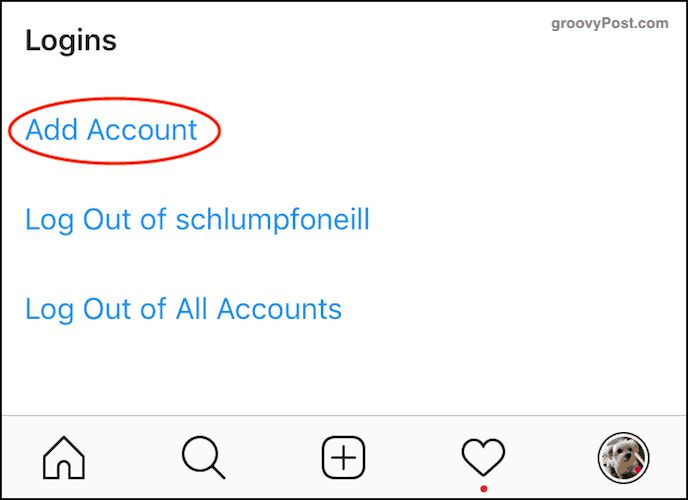 Thankfully Instagram makes it easy to jump between accounts. Log into the new account. On the profile page, you will now see a drop-down menu at the top of the page. Choose the account you want to go into and you will automatically be jumped over. No extra sign-in required. 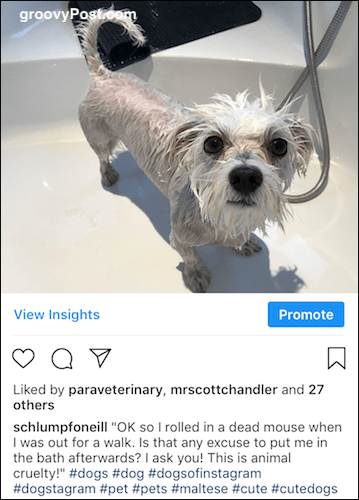 What Instagram tips do you know that I have missed out? Let us know in the comments below.